Cleopatra went missing the day Victoria Young deployed to Afganistan in May, 2011. She was found last Saturday by a Good Samaritan. 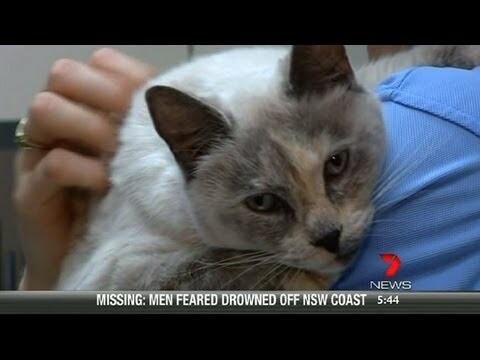 The 11 year old Aussie cat was found in a storm drain and was identified by her microchip. Plans were immediately made to reunite Cleopatra with Victoria, who had moved from Queensland to Victoria, Australia since her deployment. The petmom is thrilled that Cleopatra was found and that her beloved longtime pet will rejoin her. The pet and owner match was made easier because Victoria had updated her contact info with the michochipping company.